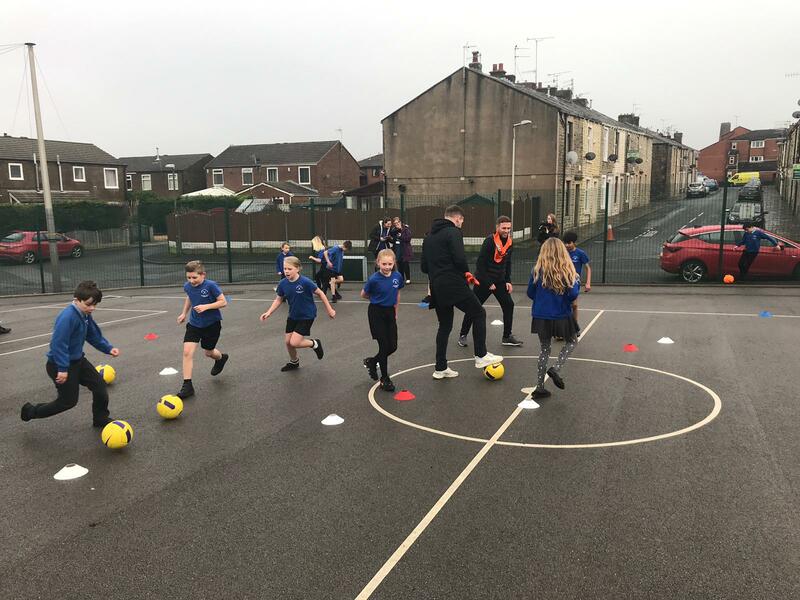 Two Stanley stars, Billy Kee and Jordan Clark, took part in the Kinder Move and Learn session about exercise and fitness as well as dribbling in football at St Andrews Primary School in Oswaldtwistle. Kee and Clark helped lead the practical aspect of the session showing the students how to perfect a perfect dribble past the opposition player! The duo took part in a tough question and answer session about how they got in to football and what age they got into it as well as asking who was the hardest team they have faced this season, they both agreed that Luton were the toughest opposition, they then went on to answer questions are about the lesson topic of exercise and fitness. PREVIOUS Previous post: February Holiday Courses – Book Your Child’s Place Now!